Undoubtedly, digital devices such as tablets and smartphones are necessities for everyone's daily life. It helps us to keep in touch with friends, deal with our business and it also offers us entertainment such as we can enjoy video and film on it. However, since different digital formats support different types of video formats, it might happen to you that the video you want to watch can't be played on your digital devices. Moreover, the video files can take up much RAM space of your devices. So is there any way to solve the problem? Here's an excellent solution for you- WonderFox HD Video Converter Factory Pro, allowing you to convert video/audio formats to almost all the popular formats as well as reduce file size while keeping the original quality. WonderFox HD Video Converter Factory Pro, as the best video converter, it works smoothly on converting video/audio formats. Furthermore, it can also be viewed as an online video downloader, which supports to download HD video, even 4K video from the internet. In this article, here're some specific details about this software to help you gain a better understanding. Here're many useful features of WonderFox HD Video Converter Factory Pro. First one is converting video/audio to various formats and devices. When I say various formats and devices, there's no any exaggeration. Almost all the popular formats can be found here. Such as: 4K video, H265, VP9, MKV, MP4, AVI, H264, MTS, M2TS, FLV, SWF, HTML5, WEBM, TOD, VOB, iPhone 6S(Plus), iPhone 6(Plus), iPad Pro, iPad Air, iPad mini, Apple TV, Samsung GALAXY series, Android Smart, Curved 8K/4K TV, UHD TV, Surface, BlackBerry, PS4, Xbox One and more. If you’re overwhelmed by the options here, just know the .mp4 is kind of the standard format for digital videos. It’s a good safe choice. Another great feature of it is downloading online video. Many online websites are supported here. Such as it supports you to download YouTube video, Vimeo, MetaCafe, Facebook and more. Just click on the button "Download Video", and paste the URL of the video that needs to be downloaded into the software. Click on "Analyze", then the software will conduct an analysis of the video source automatically. It allows you to download HD/4K video. One more excellent feature is it's equipped with video editing functions. You can edit the output video based on your preference. Many editing features can be found here, such as mosaic, blur, sharpen, emboss, noise and more. 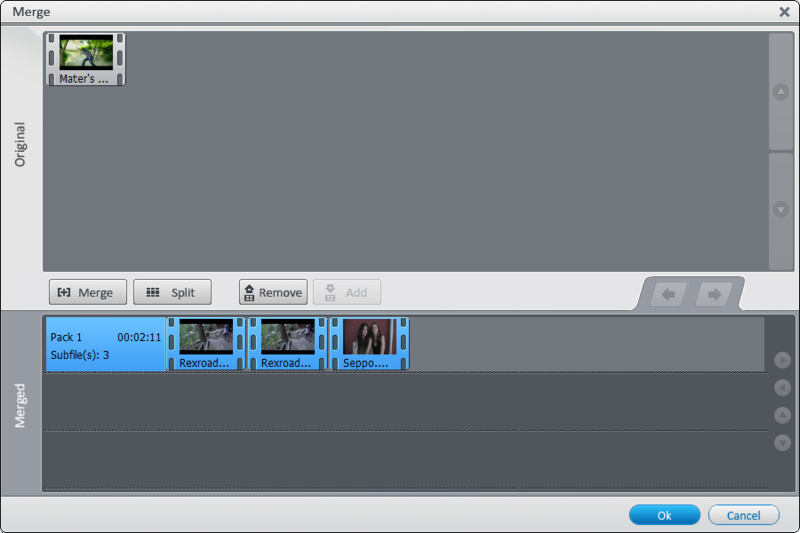 Besides, it even allows you to merge 2 or more different videos into one video. WonderFox is holding official Giveaway Campaign of HD Video Converter Factory Pro with Mabzicle.com. Now, all the readers can get the software free until June 26th. Hurry up, don't miss the chance to get the free gift. NOTE: The giveaway version doesn't support lifetime free update!